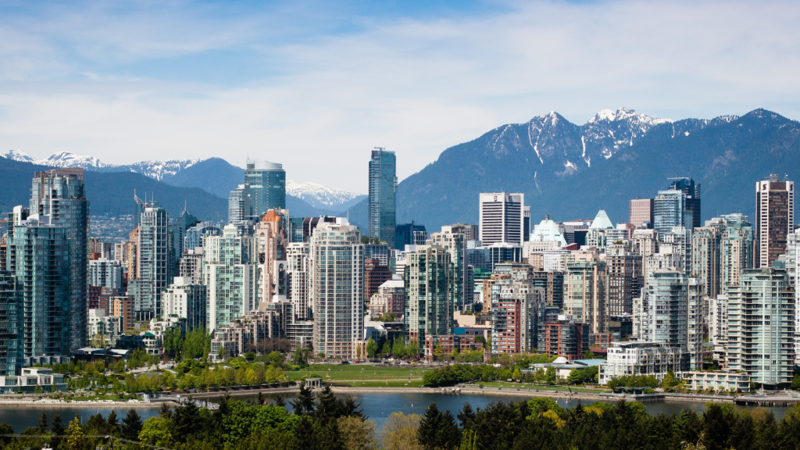 If you have booked yourself on our lodge ride or pack trip in British Columbia, Canada, chances are you will have a day or two to spare to spend in the beautiful city of Vancouver before or after your ride. So to make life easier for you, we have come up with a list of activities to do to make sure you get the most out of your time there and make some incredible memories. Vancouver’s natural beauty is simply breathtaking, it’s scenic backdrop setting this metropolis apart and making it one of Canada’s most beautiful cities. Snow-dusted mountains peek through the glass towers of downtown – they are a mere 30 minutes away making it possible for Vancouverites to ski in the morning and hit the beach in the afternoon! The nature doorstep of the city’s north side offers snow sports, mountain biking and peaceful rainforest viewing, while the city itself is studded with seawall bike lanes, sandy beaches, kayaking routes and forest trails. This magnificent 404-hectare park is perhaps the jewel of Vancouver’s attractions with a mystical natural aura. 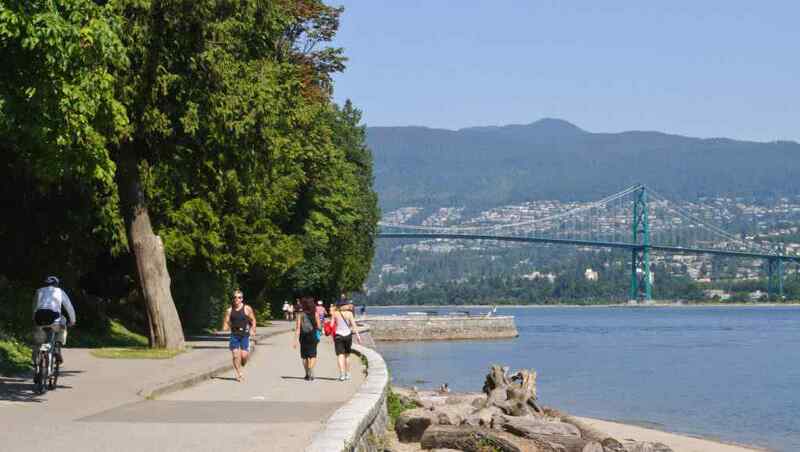 It is considered one of the top urban parks in the world with ancient cedars, wildlife, rainforest ecology, vibrant art and attractions, and an 8.8km seawall path used by millions of walkers and cyclists each year. We recommend hiring a bicycle from the various rental areas near the entrance to the park – it’s quite a large area to cover and if you are short on time it is best to hit it on a bike. And don’t forget to check out Canada’s largest aquarium located in the park. A short walk from the city centre, Granville Island is a great spot to pick up some cute souvenirs, browse local art galleries and taste the various products from local breweries. 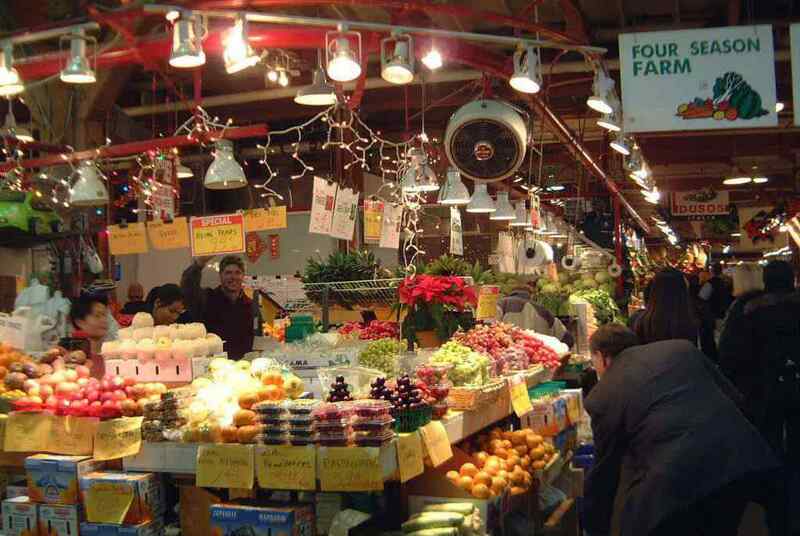 But the highlight is undoubtedly the covered Public Market, a multisensory smorgasbord of fish, cheese, fruit and bakery treats. Spend some time cruising the aisles and pick up some ingredients for a picnic at nearby Vanier Park. 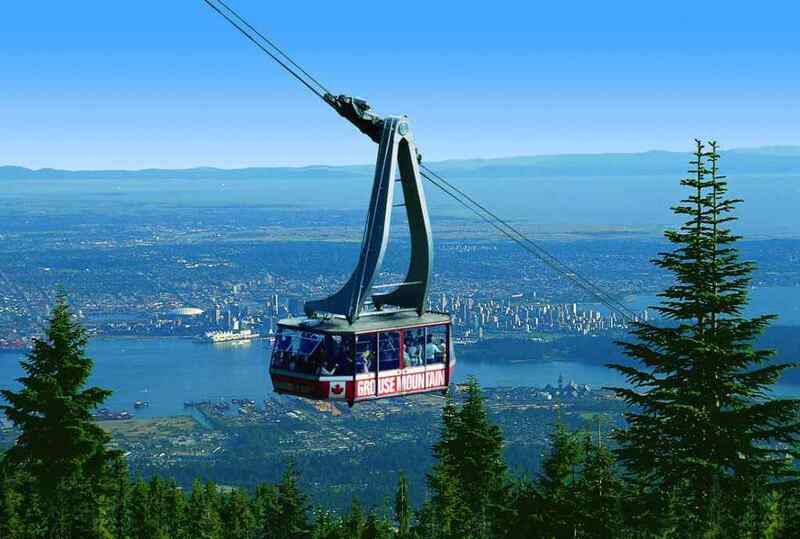 Calling itself the ‘Peak of Vancouver’, this mountaintop offers incredible views of downtown, shimmering in the water below. In summer, Skyride gondola tickets include access to alpine hiking, movie presentations, lumberjack shows and a grizzly-bear refuge. You can pay a bit extra and participate in ziplining which is sure to get your heart rate pumping. This is an ideal sunset-viewing spot. If you are feeling up to it, you can reduce the gondola fee by hiking nature’s staircase – the ultrasteep Grouse Grind up the side of the mountain. Do NOT try this unless you have an average to high level of fitness, it is definitely not for the faint-hearted! Get ready to have your legs burning like they have never done before! 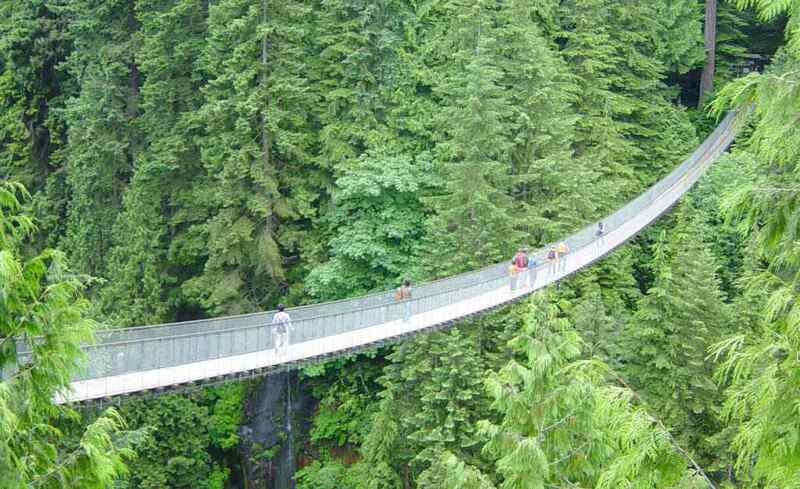 The world’s longest (140m) and highest (70m) suspension bridge sways gently over the Capilano Canyon a short bus ride out of the city (there is a free shuttle service between May to September departing from Canada Place). This is perhaps Vancouver’s most popular tourist attraction, so my advice is get there early if you want to avoid the crowds! There are many other park attractions located here, including a glass-bottomed Cliffside walkway, an elevated canopy trail through the trees, historic exhibits and totem poles. Admission rates are on the steep side (adult $40 / child $12) so if that doesn’t fit your budget don’t worry, we have a free alternative for you. Across the water in North Vancouver lies Lynn Canyon Park, which provides most of the attractions of Capilano Park, but without the price tag. Wander along the various walking trails breathing in the fresh mountain air, gaze at the waterfalls or if you are adventurous, jump in for a swim! And it has its own suspension bridge albeit not as long or high as its big brother at Capilano. This is a great location if you want to get out of the city and have a picnic. If you stroll through the Yaletown and Gastown areas you will be given so many options of cafes and restaurants, you may find it hard to decide where to eat! Here are a few of our favourites. Don’t forget, a 15-20% tip is customary for service in Canada. A midrange restaurant with a warm, woodsy bistro is a popular favourite among Vancouverites as well as tourists. It’s worth heading there off-peak to avoid the crowds. The Flying Pig offers an excellent weekend brunch, but the best deal is the afternoon happy hour menu, when you can try a few tasty plates for around $5 a pop. This place is known for its eye-rollingly amazing sweet treats (think apricot almond scrolls and irresistible peanut butter sandwich cookies) and the best croissants in the city. They also make delicious sandwiches – a good place to grab some treats or lunch and take them to eat at Stanley Park. This lovely rustic-chic room prepares bistro dishes showcasing local seasonal ingredients including duck, chicken and halibut. It is great gourmet comfort food and is packed most nights. We recommend making a reservation if you want a seat! This is a place for serious burger fans. Made with love (and ever-friendly service), there is an inventive array of burgers from classics to the highly recommended Korean BBQ burger. With a board outside showcasing the daily specials, one bite of a burger here will ensure you never return to a fast-food joint! There are accommodation options aplenty in Vancouver that suit every range of budget, however we recommend Sylvia Hotel which is near Stanley Park. This sits it in prime position for a swim at the beach, and also within walking distance of several other tourist attractions downtown. All rooms have views of either the city or the courtyard. So enjoy your time in Vancouver and have fun. And if you come across an amazing activity or sight you think we should know about please share it with us!